Scholastic 3-D Archery (S3DA) is proud to partner with Bear Archery. Bear Archery is a staunch supporter of S3DA. 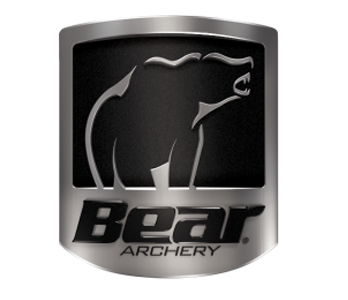 Check out the link here for more information on the Bear Archery Sponsorship! Pope & Young Club. The Pope & Young Club has supported S3DA since the inception of the program. 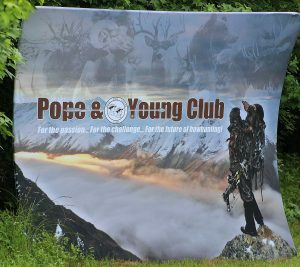 Check out the link here for more information on the Pope & Young Club Sponsorship! If you have any questions about Scholastic 3-D Archery, please reach out to the S3DA National Office. On March 14th and 15th 2019, Scholastic 3-D Archery (S3DA) in conjunction with the National Field Archery Association (NFAA) held their 4th National S3DA Indoor Championship in Cincinnati, Ohio. S3DA continues its explosive growth with over 1,000 archers from 97 different clubs and 23 teams from 22 states participating in this competition. University of the Cumberland’s (KY), Union College (KY), Lindsey Wilson College (KY), Campbellsville University (KY), Southeastern Illinois College (IL), Mt. Marty College (SD), Kentucky Christian University (KY) and many more. S3DA would like to thank the high school students who helped with the elementary and middle school classes, as well as the range officials, coaches, parents and volunteers for making this event possible. The National S3DA Indoor Championship was a great time for S3DA students, coaches and their families. S3DA would like to extend our thanks to Competition Archery Media and BowJunky Media for the LIVE coverage and pictures of the event. We look forward to the S3DA 3-D and Outdoor Target National Championships on July 9th-13th, 2019 in Metropolis, Illinois. Click here for the FINAL RESULTS of this competition. **PLEASE NOTE: There is designated tabs across the bottom of the spreadsheet for ELE, MS & HS Results. The mission of the Scholastic 3D Archery program is to foster, educate, and guide youth in the areas of 3D, indoor target, and outdoor target archery as well as safe, ethical bowhunting practices.